Hello, and welcome. I hope you will enjoy viewing my beautiful AKC stock dogs. 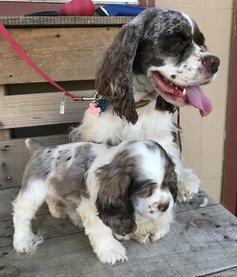 We home AKC Cocker Spaniel and Cockapoo puppies!! I have been enjoying my hobby of breeding for 10 years. 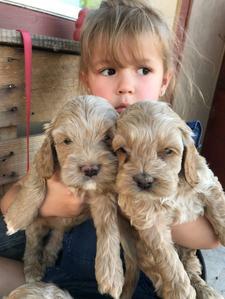 Please click on the page links above to see AKC Cocker Spaniel pups, 1st Generation Cockapoos pups and now Mini Doodles. These Doodles will be mostly Poodle and a little Golden/Labrador. 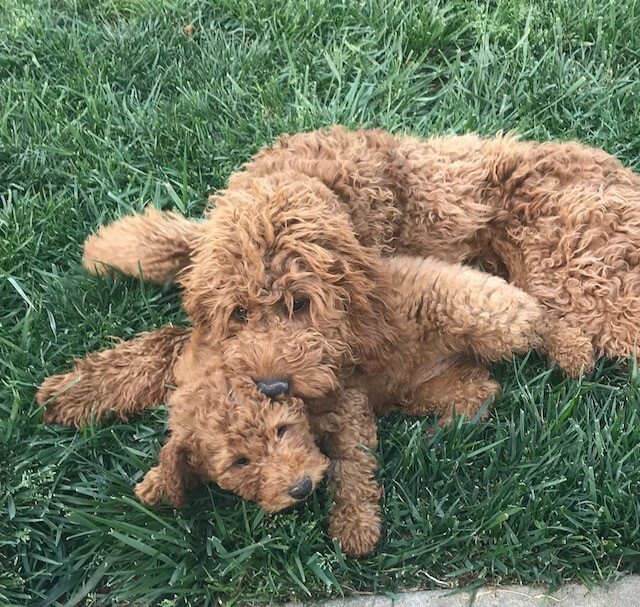 Dad is AKC Mini Poodle and moms are F1b Golden/Labradoodles. Moms are only 25-35lbs! 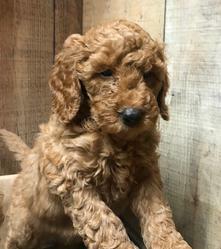 Bred with a 17lbs Chocolate parti poodle, what colors could we get? 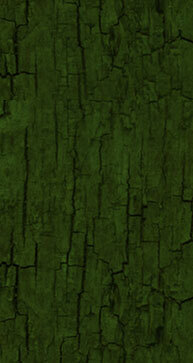 Check out the Doodle page for more information. 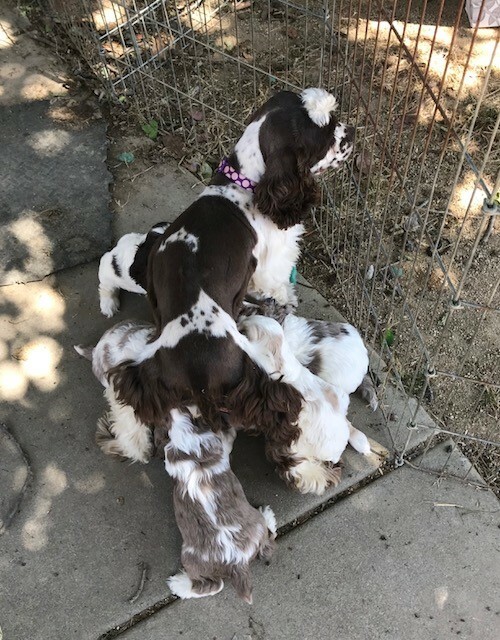 ​My Cocker Spaniel girls are all AKC registered, beloved pets and their puppies are well socialized in the house and yard with my 4 kids, aged 22 down to 12yrs old. Granddaughter is now 3! Boy, does she ever love to play with the pups. 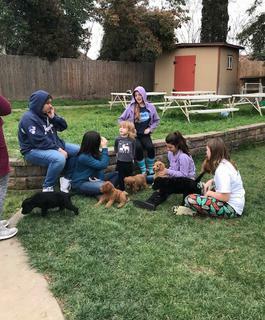 Between their friends and my kids, the pups are WELL socialized to kids!!!! 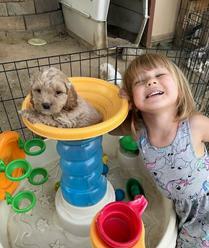 They love pups, don't we all!! I have always loved animals and dogs in particular. I really love the sweet and loyal Cocker Spaniel. I also love the many colors available. But my favorite is Chocolate and the Merle. So I have selected to breed for health, personality and color. ​I have added Buff to my breeding plan, because I'm aware of the lack of Buff breeders, at this time. 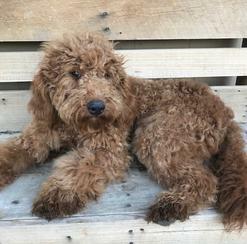 Alot of people have an interest in Mini Doodles, so I'm going to make some smaller curlier, red, black and Chocolate teddy bears that aren't the Cockapoos but from the beloved F1b (non-shedding) Labrador and Golden breeds. Would you like to see some beautiful pups?